The representation of the father-daughter relationship in Hindi cinema has seen a wide spectrum of emotions. So it would be interesting to remember a different perspective on the subject in the form of Daddy (1989), which was premiered on national television on 8 February 1989. The film subsequently had a theatrical release, but the television premiere left its impact on the box-office collection. The film has few songs, though the protagonist is a once famous singer, little romance, sharply defined characters and a sensitive story with powerful dialogue. Like most Mahesh Bhatt films, Daddy, too, was partly autobiographical as it took a nostalgic trip into his own battle with the bottle. Bhatt marked his talented daughter Pooja for her acting debut with this film. Like Anand Sareen (Anupam Kher) in the film, Bhatt had faced marital problems that ended his first marriage, to Pooja’s mother. 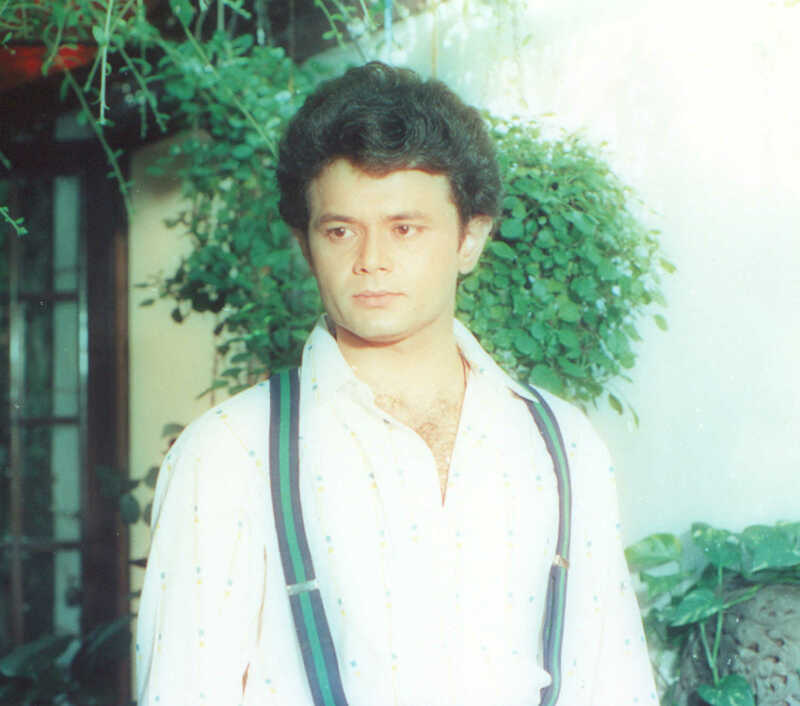 He later married actress Soni Razdan, who played Pooja’s mother in the film. It was a small part but she did it very well. Daddy is perhaps the sole mainstream Hindi film to portray how a daughter doubles up as agency to cure her father of alcoholism and get him back on the stage with his melodious singing voice. 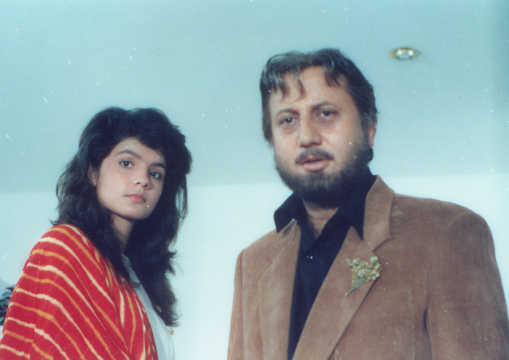 In the film, Pooja Bhatt's character does not know her father is alive. She has never seen him even in photographs. Her mother died when she was one — she is not yet 18 in the film — and she was brought up by her maternal grandparents who don't let her feel like the orphan she isn't but thinks she is. New research confirms that a father's role as parent goes far beyond simply being the family breadwinner. The findings of a study conducted by Michigan State University in the US are a poignant reminder that every father has a life-altering responsibility to take care of his own psychological well-being to nurture and foster the well-being of his children. Daddy turns the tables on this logic by making the daughter take on the responsibility of curing her father of his alcoholism. She breaks every rule in the book ‘written’ for her by her maternal grandparents who have brouht her up and love her dearly and even walks out of their home when the grandfather refuses to accommodate the son-in-law he holds responsible for his daughter’s death. Hindi cinema has played around in many ways with the father-daughter relationship and come up with some wonderful films that are not only unforgettable, but also cover a wide range of storylines and characterizations. Examples are Hrishikesh Mukherjee’s Anupama (1966), a moving film shot in black-and-white in which the father, a powerful underplayed portrayal by the late Tarun Bose, hates the very sight of his daughter, Uma (Sharmila Tagore), because he blames her for his wife's death in childbirth. The daughter grows up an introvert who hardly speaks. By the time the man realizes his mistake, it is too late. At the other end of the spectrum, we have Shoojit Sarkar’s Piku (2015) in which an ageing father desperately tries to hold back his adult daughter from having a life of her own simply by drawing her attention constantly to his chronic constipation! The fear of loneliness looms large in the old man. 3 Idiots (2009) saw one of the most hilarious yet complex relationships between an engineering college principal, nicknamed Virus by his students, and his two daughters who love him dearly but do not agree with his domineering nature. Dangal (2016) was a stunning realization of how a father’s intention to gain vicarious satisfaction from his two daughters' triumphs in wrestling, which he was forced to quit, changes completely when he discovers that his daughters are more talented than he ever thought. One of the funniest father-daughter relationships in Hindi cinema was seen in Cheeni Kum (2007). It threw up an unusual representation of a worried and loving father who plays all kinds of tricks he can think of to stop his daughter from marrying a chef who is older than himself! Daddy, despite some melodrama in the narrative, is a well-made film with a reasonably tight script, with sterling performances by Pooja Bhatt on her debut, Anupam Kher as the prodigal father, and Soni Razdan as her mother. A very young Raj (Rajendranath) Zutshi as Pooja’s low-key boyfriend is very good in a supporting role. 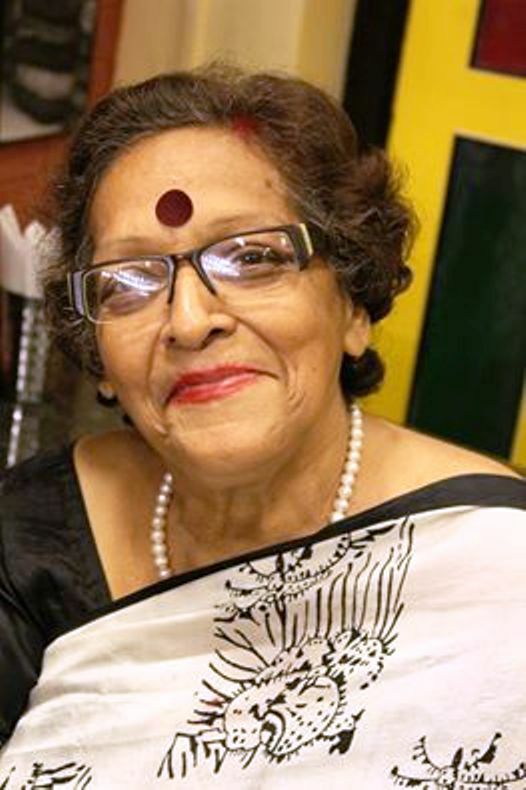 Manohar Singh, basically from theatre, is somewhat theatrical in his performance, but the same cannot be said of Suhas Joshi who plays his wife, though she too came from a theatre background. Neena Gupta is perfectly bitchy as Anand Sarin’s first wife. In retrospect, Pooja Bhatt’s costumes might appear to be a nightmare within the contemporary ambience, but considering that the film was made in the late 1980s, one supposes it was okay. As the film moves towards the climax — of course with some melodrama thrown in — Pooja’s grandfather, who takes her determination to rid her father of alcoholism as a direct hit to his ego, diabolically plans to manipulate Anand into drinking just before he is to appear on stage in a music competition after 15 long years when his fans had taken him to be dead. But though this is not shown, Anand does not drink and wins the trophy handed over to him by Pooja’s grandfather who headed the jury! A moving shot is when Anand walks into a pub to discover a framed photograph of himself with a floral garland around it. It turns out that the bar belongs to a devoted fan of his who thinks he died 15 years ago! The minute he sees the dishevelled, sloppily dressed Anand in his bar, he takes away the garland and touches Anand’s feet. The other unique feature of this father-daughter story is that the 17-year-old teenager did not even know her father was alive. So she first meets him only when he tries to seek her out. She is already 17 then. This is when the relationship begins. She is disgusted and shocked at a father who never bothered to find out about her suddenly turning up to have his fatherhood asserted and recognized! One jarring note in the narrative is that though Pooja's character is 17, she does not go to school or college and yet takes on modelling assignments. That seems to be in contrast with her arrogant grandfather’s ideology. “I want to rescue you not because I am your daughter but for humanitarian reasons,” Pooja tells her father when she comes to prison to bail him out. “Make music your addiction and your other addiction will go away,” says Anand’s fan who gifts him a harmonium to begin practising again. The lyrics are beautiful, specially the last song that marks Anand's return to music, which goes, 'Aina mujhse meri pehli si soorat maange' meaning 'the mirror seeks my former self'. Dr Lisa Frederiksen in an article quoting a letter from a daughter to her alcoholic father writes: “The scars go far deeper than what/who we treat — namely the person with the alcohol use disorder. These scars shape the next generation — their sense of self-worth, their coping skills.... They form the bases of at least four of the adverse childhood experiences measured in the Kaiser-CDC ACE study, such as: emotional/verbal abuse, physical abuse, neglect, alcohol-related violence against one’s mother/step-mother, and parental divorce (sic)." These questions are carefully skirted in Daddy, which actually charts the journey that Pooja and Anand Sarin take together from the time she refuses to call him Daddy and uses his full name instead to the one time she lives up to the promise and calls him Daddy because he has metamorphosed from a failed man and an alcoholic to a genuine father figure. The journey is all but smooth. But it is a lesson of life for both father and daughter and those close to them where the father-daughter roles are reversed without either being aware of it!